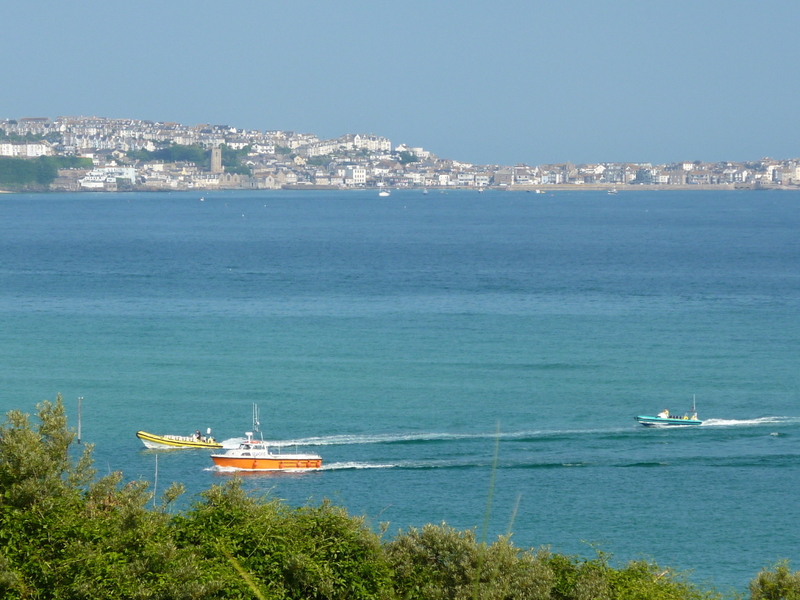 Much loved and cared for, light and sunny, self catering accommodation with extensive and uninterrupted views across beach and sea to St Ives. 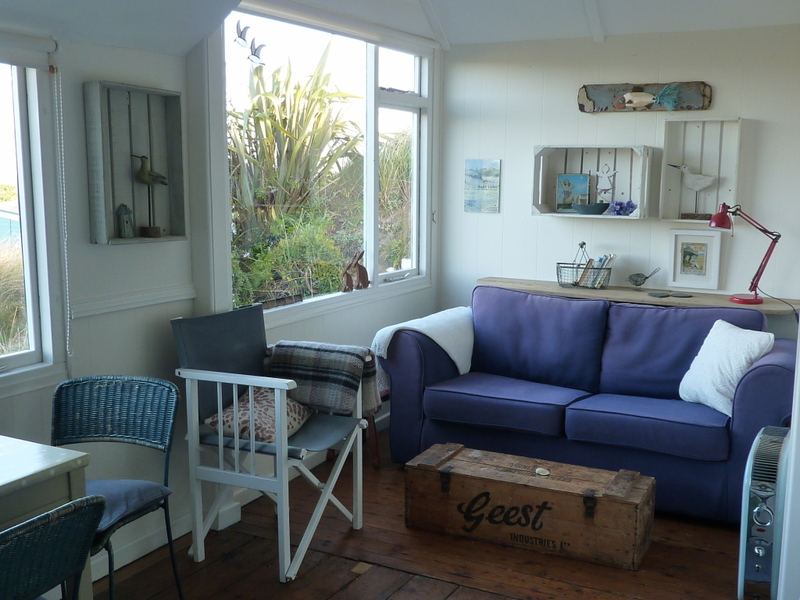 There are 2 bedrooms, one with double bed, the other with adult sized bunk beds. From the hallway is the shower room with WC and wash hand basin. 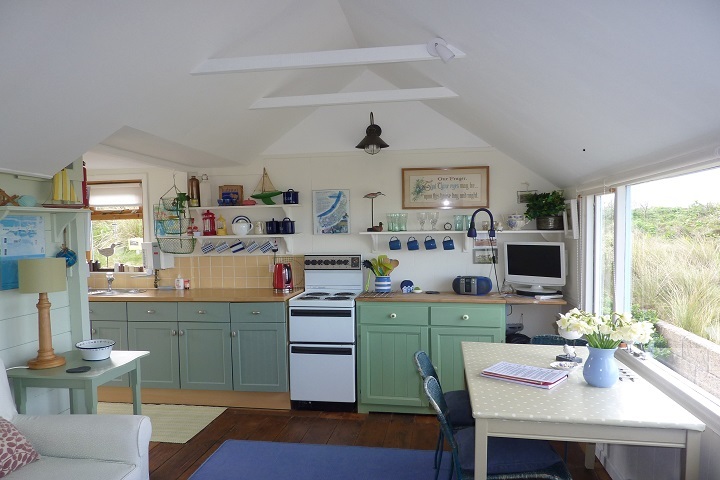 The kitchen area with stylish units, cooker and fridge has door leading into secluded suntrap rear courtyard with picnic table, and bordered by the dunes. 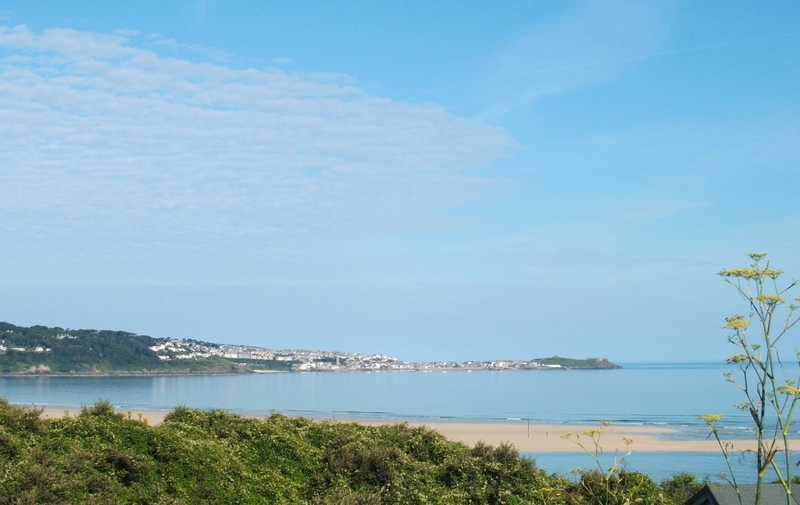 There is a designated parking area nearby for chalets in the vicinity. 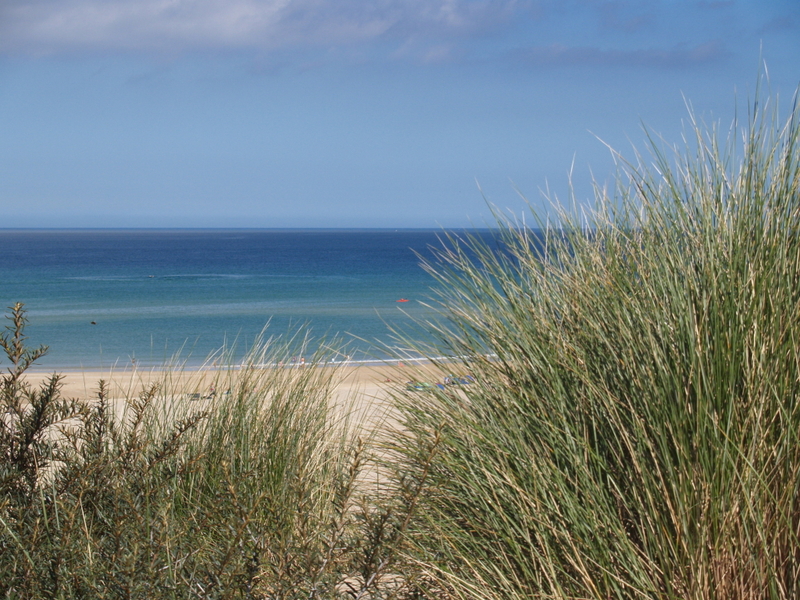 Sedgewin is on a quiet well maintained site in the natural environment of the grassland dunes at Riviere Towans about 1½ miles from Hayle and 7 from St Ives. 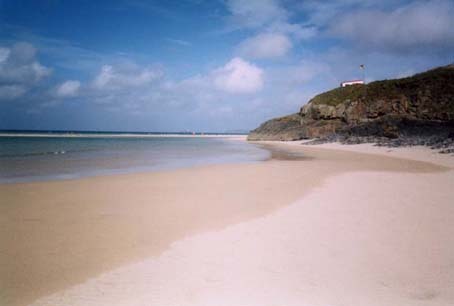 It is within short walking distance of 3 mile expanse of sandy beach, a local shop and 2 pubs serving meals with more extensive choice at nearby Hayle and St Ives. 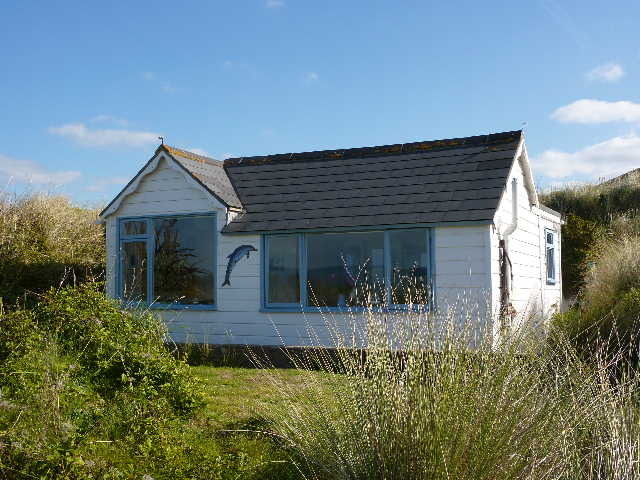 This is an excellent location for touring, or just relaxing and doing as little as you wish!